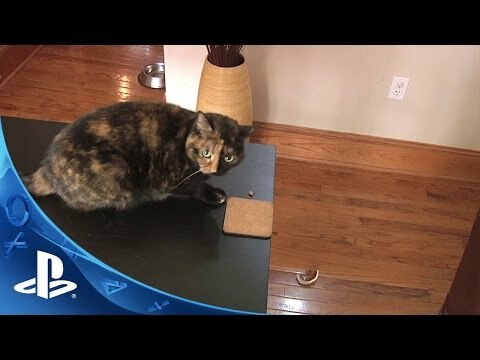 The premier first-person destructive cat simulator. Play as a cooped-up house cat and knock stuff onto the floor! Catlateral Damage is a first-person destructive cat simulator where you play as a cat on a rampage, knocking as much stuff onto the ground as possible. See the world through the eyes of a cat! Like other first-person games, you can walk and look around, jump, and crouch. Unlike other first-person games, your primary weapons are your two cat paws, which you can use to swipe at and knock objects onto the floor. Play from the perspective of a crazy domestic house cat. Destroy precious collectibles and expensive electronics with your little paws. Make a mess of every room in the house, from the bedroom to the kitchen. Procedurally-generated houses for endless replayability. Loads of collectibles, unlockable cats, and power-ups. Over 230 photos of real-life cats to find and collect.